This entry was posted in Life in General, My Art & Writing and tagged art, endangered animals, environment, inspiration, oceans, poetry, rain, romance, weather, writing. Bookmark the permalink. 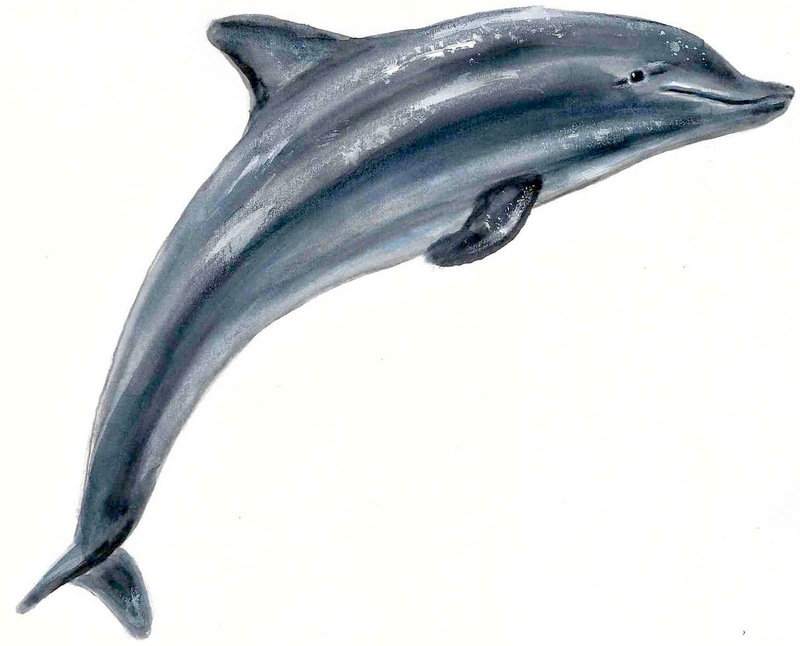 Awesome Drawing AnnMarie I love Dolphins makes me want to watch A Dolphins Tale 1 and 2. Keep up the great work! Your Welcome AnnMarie. Hope you had a great weekend!! I am going to the movies tonight a good way to end the weekend. Once again “like minds thinking alike,” I read your verse and realized I’ve written something very similar, although mine is about your favorite subject (hint: it’s called “La Bella Luna”). 🙂 I’ve had it in the queue for a while. Yours is better. I was up late a bit wired from too much b’day cake. I hit the publish button on this one. I read it quickly and said what the heck. But I’m returning to my weekend WP thing ’cause this is what starts to happen. I do one here and there and then boom – art and writing sit in my studio crying for attention. Don’t burn out, Miss — burn brightly. Thank you, Libby. I appreciate the kindness. Great dolphy! Love the sheen that you’ve given him with your subtle yet striking use of highlights and shadow. What was your medium in this piece? Thank you. You manage to work magic with your tools! I appreciate the kindness, Ann. So many times, rain is seen as melancholy, dreary, foreboding. You’ve managed to turn that on its head here…..and make the rain a blessing, a reminder of another, a kiss upon a cheek. Love the words. Love the drawing. I love standing in the rain (not the deluge stuff-I ain’t that brave;) ). I often think about people in the drops.